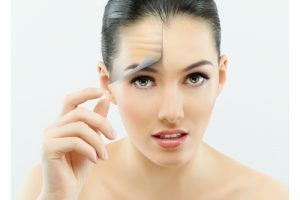 Home Posts Tagged "facial rejuvenation"
Dr. Jeffrey Schreiber, plastic surgeon at Baltimore Plastic and Cosmetic Surgery Center, offers a full range of surgical and non-surgical facial rejuvenation procedures. Heal your winter skin and prepare for a glowing warm weather debut when you opt for a facelift, Botox, or laser skin resurfacing, among other options! His Baltimore cosmetic surgery center is the ideal place to refresh rough skin that you’ve been hiding all season. Read on to learn more! Facelifts are undoubtedly among the most popular ways to restore a youthful appearance. Men and women alike opt for Dr. Schreiber’s facelift procedure, which includes a necklift for a balanced and complete look. Patients are pleased to see less wrinkles, excess skin, and fat in their face or neck once healing is complete. Cheeks have more volume, and the muscles beneath the skin are tightened. Dr. Schreiber is careful to avoid the undesired look of the face being “pulled too tight”; he aims for beautiful, natural, believable results. Another surgical option that patients tend to request is blepharoplasty. This also involves the removal of excess skin, but from around the upper and lower eyelids instead of the face and neck. Eyelid skin is very thin, delicate, and easily damaged. Damage also tends to be noticeable, causing wrinkles, droopiness, and puffiness. Other choices to consider range from nose surgery to eyebrow lifts to ear surgery. All can change elements of your appearance that you may not be comfortable with, and many of the aforementioned surgeries make the patient look significantly younger once healing is complete. If cosmetic surgery isn’t quite what you’re looking for, you might prefer non-surgical options like Kybella and Botox. Dr. Schreiber is recognized as a premier plastic surgeon in Baltimore, but he also specializes in these other services. Injections are used for several different problem areas on the face, from wrinkles to double chins. Kybella is a medicine that is injected into the fat underneath the chin. It slowly dissolves the fat over several months, with no surgery or scars! Like many injection procedures, multiple treatments may be needed for optimal results. Botox is probably the most well known option, as it is the most frequently performed non-invasive cosmetic surgery treatment. It is used to smooth out wrinkles in the forehead, and near the eyes. It addresses wrinkles between the eyes and brows, as well as crow’s feet wrinkles beside the eyes. Each treatment lasts about two to four months, and can actually help to prevent future wrinkles. It may be combined with additional non-surgical facial rejuvenation procedures. Filler treatments like Restylane, Radiesse, and Juvederm are great for deep lines next to the mouth, or loss of volume in the lips. Viora is a unique radiofrequency device to help tighten facial skin, especially around the neck, jowls, and lower eyelids. It can also be used to treat cellulite on the body. If you’re interested in facial rejuvenation services, or traditional cosmetic surgery procedures like a tummy tuck, Baltimore plastic surgeon Dr. Schreiber is available for consultations. Call 410-205-1846, or click here to schedule an appointment online.